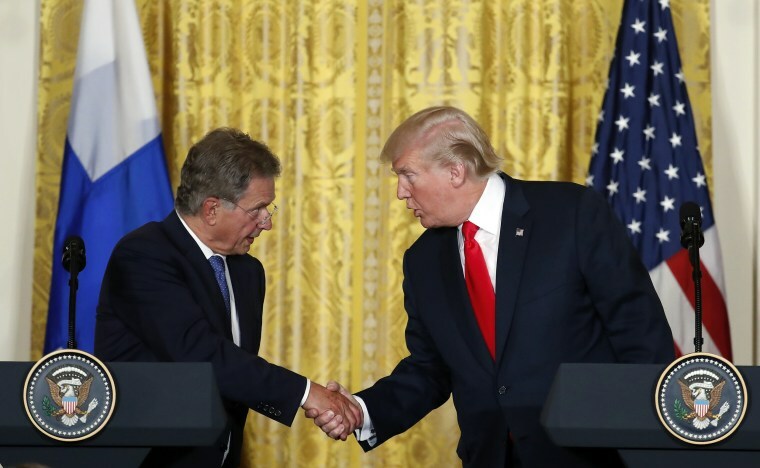 Finnish President Sauli Niinisto remembered telling Trump "We take care of our forests," but couldn't recall raking coming up. HELSINKI — Finland's president isn't sure where U.S. President Donald Trump got the idea that raking is part of his country's routine for managing its substantial forests. The U.S. leader's comment generated amusement on social media in Finland, which manages its vast forests with scientific seriousness. "Wartime is no excuse not to #rake the forests," one person tweeted, including a historical photo of soldiers appearing to move some brush. Another tweeted a picture of a small child with a rake, adding, "In Finland even small kids rake forests." One woman posted a photo of herself pretending to tend to the forest floor with a vacuum. Forests cover over 70 percent of Finland's 338,000 square kilometers. The Nordic country with a population of 5.5 million is home to some of the world's biggest paper and pulp companies.